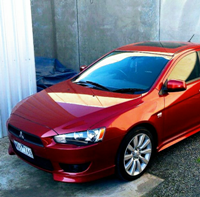 I Have been a long time Mitsubishi enthusiast, beginning my journey in a 95 FTO GPX which I still have to this day (highly modified) , and most recently my journey has lead me to a second hand Lancer Ralliart. Currently have the boost pill from AMS on its way ready to go in when I pick up the ralliart on Wednesday (2 days away ) and have a question about the tune. The part is easy enough to install, but I am looking for opinions on what tune to run, where to find it and what sort of results to expect. Even more ideally I'd love to meet someone here who would be able to walk me through the tuning (paid of course) in Melbourne, as through my research I have read the pill with no tune is a recipe for disaster. I plan to keep this RA very stock externally and internally as the plan will be to sell it, building up interchangeable parts to put on the evo X (pill, headlights, taillights, bootlid, wheels) I'll be buying at the end of next year. Any links, forum members or shops would be greatly appreciated! 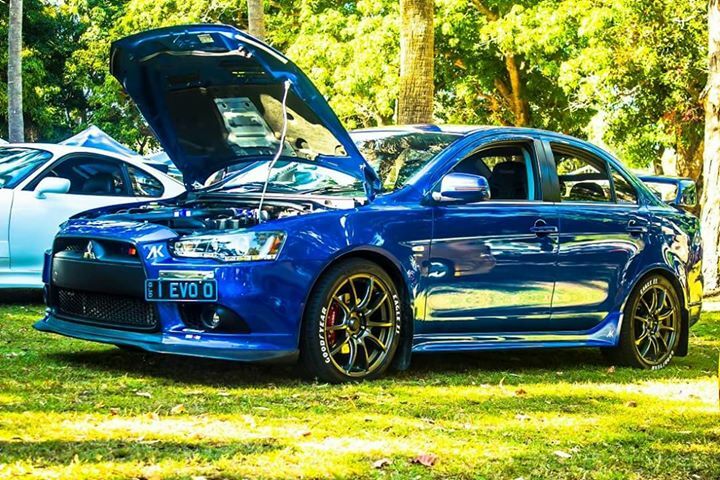 Check out the base tunes on evo m forums. You will need a tactrix (or a friend with one) and a laptop running ecuflash. Flash the appropriate boost pill rom and you'll never look back. Where in Melbourne are you? Do NOT put the pill in without tuning. Probably will be better if you go with 3 port grimspeed boost controller. I believe Adam Wade aka Beeble toones is located in Melbourne he's one of the best. Or if you still want to go with the boost pill you Download definition file for your car from EVOX forums but you need Tactrix cable, EcuFlash or Evoscan software for your PC, and you need a ROM for your ECU in order to flash your ECU. Hey all, thanks for the replies, got in contact with Beeble and we are set up for a Tune next week with the boost pill, as I said really going very minimal on the modding side as I am going to be leaving that for the Evo X in a few years time, gotta keep that stock as a rock resale value haha. Put my white CE28Ns next to it from my FTO and damn now I want a second pair but I WILL REFRAIN! Have had the car now for a day and love it, pulls nicely to the speed limit that's for sure, Fosgate system is sounding sweet but in true Fosgate fashion the tweeters seem to be doing jack all . I do have a question about the MMCS though, had anyone cracked it? As in been able to flash it with custom software to be able to utilize Bluetooth better, is spliced the ancient iPod connection to work with newer devices (android or iPhone), planning to get behind those pesky RCA jacks and wire through the back to a 3.5mm because the housing leaves little to be desired. Check out the Pajero forums for all the hard work they have done on trying to crack it. There is everything you need there from manuals down to wiring diagrams... I have an A-03 in my Lancer DVD version, a bloke on here in NZ has the Japanese HDD version that the Yanks have successfully cracked to get more HDD space but not much else. Bluetooth seems to be phone conversations only, RCA inputs are poorly earthed, and there is a kenwood 13pin to android adaptor, but it looks like it will be the same as the auxillary RCA lead and have no music control, I haven't purchased one from Ebay yet to confirm. Will be having a chat with Beeble come Wednesday to get me in touch with someone, until then though, where can I go about finding a CLUBCJ sticker? Not going to bomb my back windshield with them like my FTO but maybe a tastefully rear window type thing would look okay.